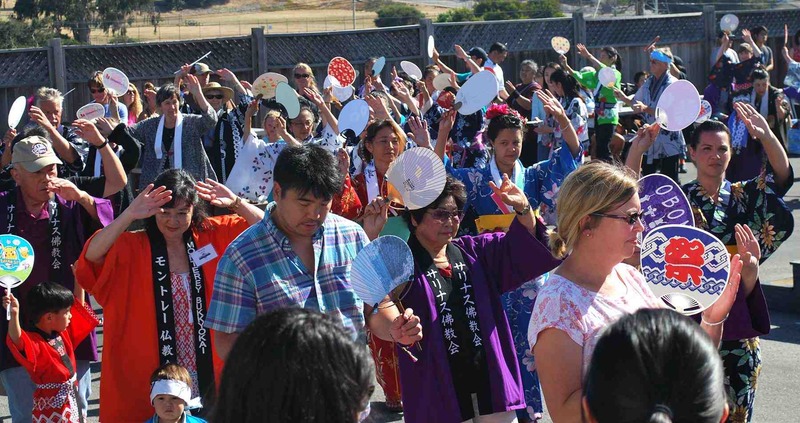 SEASIDE — The 71st annual Obon Festival will be held Sunday, July 9, from 12 to 5 p.m. at Monterey Peninsula Buddhist Temple, 1155 Noche Buena St. in Seaside. Enjoy delicious Japanese foods, entertainment, games, bonsai and ikebana exhibits, and Japanese goods and crafts for sale. Food choices include tempura prepared by chefs from local Japanese restaurants, sushi, beef teriyaki, udon, kushi katsu (fried pork), gyoza, strawberry shortcake and ice cream. Gluten-free chicken karaage (fried chicken) will be available this year. Day-long entertainment features taiko drumming, martial arts demonstrations, and Japanese tea ceremony. Everyone is invited to dance during the Bon Odori, or community Japanese folk dancing. Over 100 raffle prizes will be awarded throughout the day, ending the festival with the $2,000 grand prize drawing. This is a free event, but donations are accepted. For more information, call (831) 372-8181 or visit www.montereybuddhist.org.